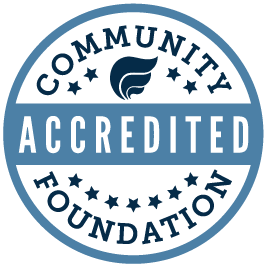 So what is a community foundation anyway? Quite simply, a community foundation is the place where generous people in the Quad Cities (and beyond!) make gifts to support their community, specific organizations and causes most important to them. We are an independent, public charity with a team of Quad Citizens committed to listening to our donors’ charitable goals, and then working alongside them to help them best meet their hopes and dreams. Through gifts and funds established at the Quad Cities Community Foundation by donors, for our community, we award grants and scholarships to people and organizations residing primarily in Rock Island County, Illinois, and Scott County, Iowa. Through our network of Geographic Affiliate Funds and Community Funds, we also serve the residents and needs of surrounding counties. Many donors make unrestricted gifts to create collective impact on the most pressing needs and promising opportunities in our community. Some donors gift to continue to support a specific organization they believe in. Others support particular areas of interest in our community (arts and culture, early childhood education, the environment, or housing to name just a few) that matter to them—relying on the Community Foundation to guide how best to invest those funds into the community. We also listen, lead and act to amplify goodness in our community. That often means partnering with nonprofits and community leaders to improve our shared community by identifying current and emerging issues, channeling donor gifts to address community needs, and helping prepare for the future of our Quad Cities region. The Quad Cities Community Foundation is governed by a volunteer board of directors of community leaders and is administered by a full-time professional staff dedicated to helping connect people who care with causes that matter. Under the leadership of our President and CEO Sherry Ristau, we offer extensive knowledge about charitable organizations and can help you make informed decisions about charitable giving. Lots of great people and great organizations! Individual donors, families, businesses and organizations who want to make a difference in their community. Professional legal, financial and estate advisors. Grant recipients and priority community needs and opportunities. Communities outside the Quad Cities through Geographic Affiliate Funds that promote rural philanthropy and give our rural communities opportunities to build endowments for the future. Individuals, families, businesses and organizations work with us to create and gift to permanently endowed and non-endowed charitable funds that help meet the challenges of changing times. Gifts can be made to any fund held at the Community Foundation at any time. Most gifts are given for endowment, which means they are invested in perpetuity to benefit our community today and for generations to come.